Here is the inspiration photo for this week's challenge. I used a stamp set from WPlus9 called Happy Wishes along with Strictly Sentiments and Heartfelt Holiday. I stamped the flowers and then added some detail with Prismacolor colored pencils. I stamped the sentiment, greenery and some small flowers right onto the white cardbase, then added the cut out flowers with foam tape. I added a few rain stones lastly. 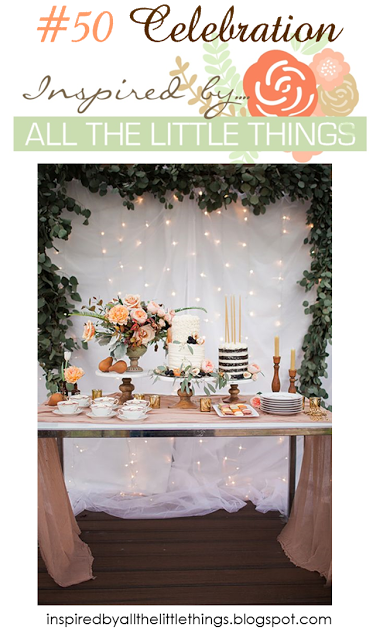 If you'd like to check out the challenge and play along at Inspired By All The Little Things, you can find all of the details HERE or click on the image below. All of my supplies are listed and linked below! Thanks so much for stopping by! This is beautiful and inspires me to use the same set which is sitting in my closet sadly neglected. What a gorgeous card, Kay! Congratulations on guesting Kay!! Your card is just as lovely as can be! It's oozing with Spring! Congrats on your guest design spot!! Your card is very pretty with the lovely flowers!! Kay, this is incredibly beautiful! Oh Kay, this card is delightful. Congratulations on your guest designer spot! You've chosen some beautiful spring colors to highlight these delicate flowers and greenery. I really like how you spotlighted the flowers, too. Wonderful work! :) Hugs! Love the cheery colors and look to your card! The composition is great too! This is so pretty in cheerful colors! Lovely CAS design as always! This is so pretty, Kay! 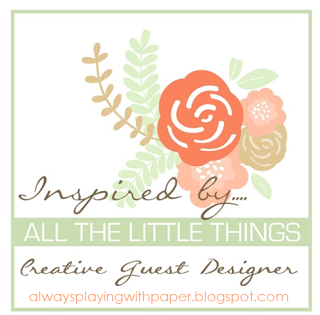 So thrilled that you joined us for the 50th challenge at Inspired By All the Little Things! I love these colors Kay! Beautiful card with these stamps and dies! Gorgeous coloring! Gorgeous card! Love this sweet, whimsical flowers! oh my gosh, your card is so pretty! Thanks for guesting with us at Inspired by all the little things! Love every single thing you make. You are the bomb! I'm thinking that you must also be very nice in real life. How else could you make such beautiful things?! !